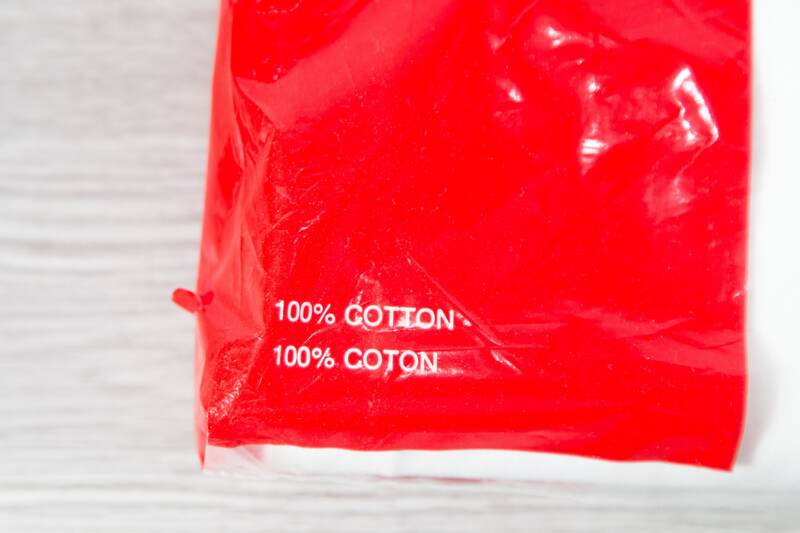 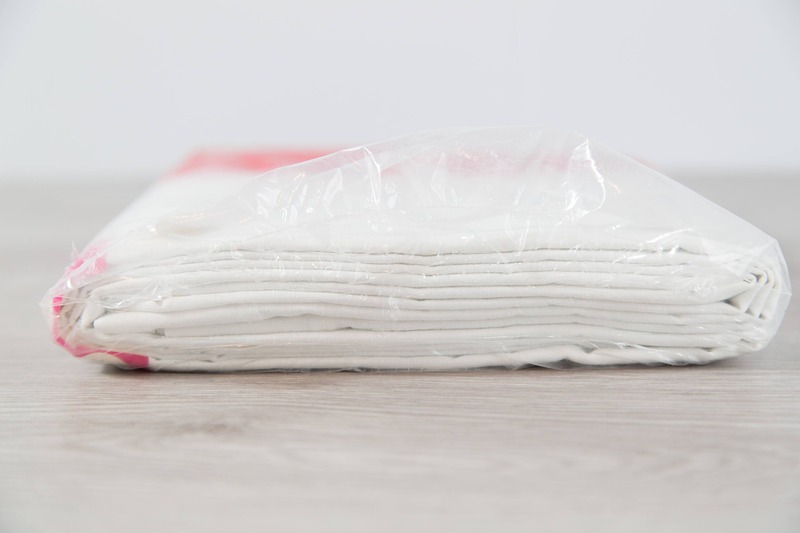 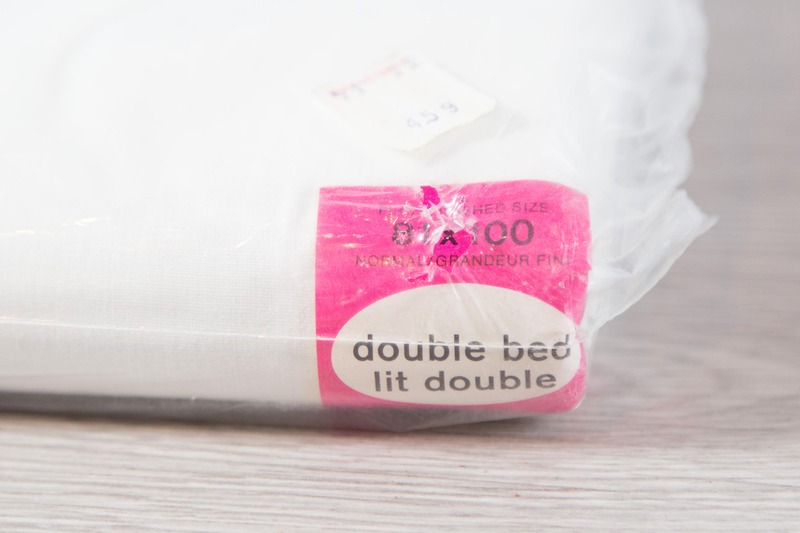 This is a vintage white double bed sheet new in the package! 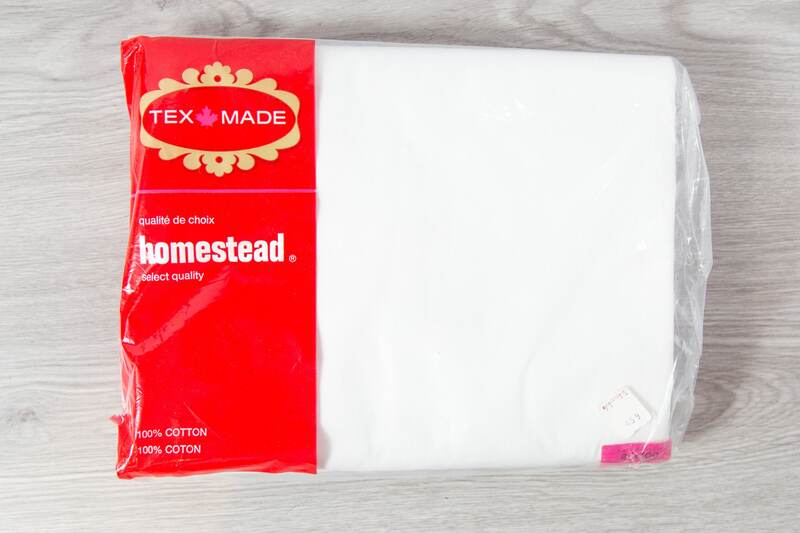 136 threads per square inch. 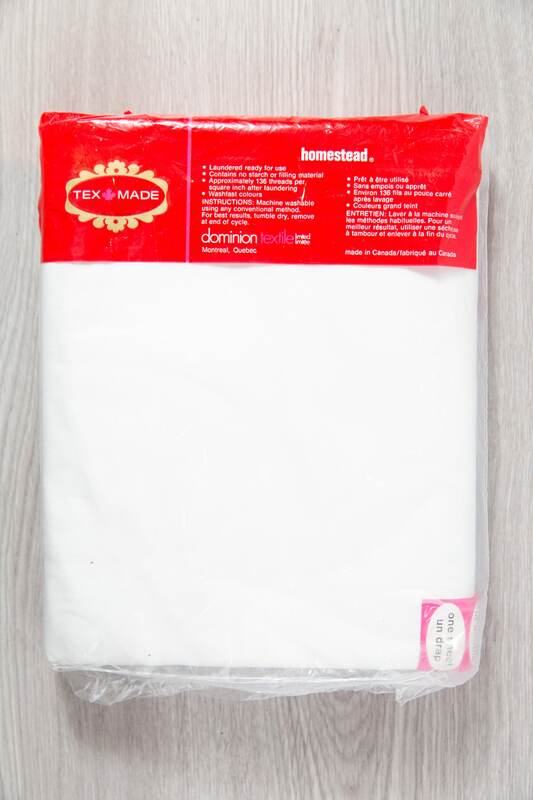 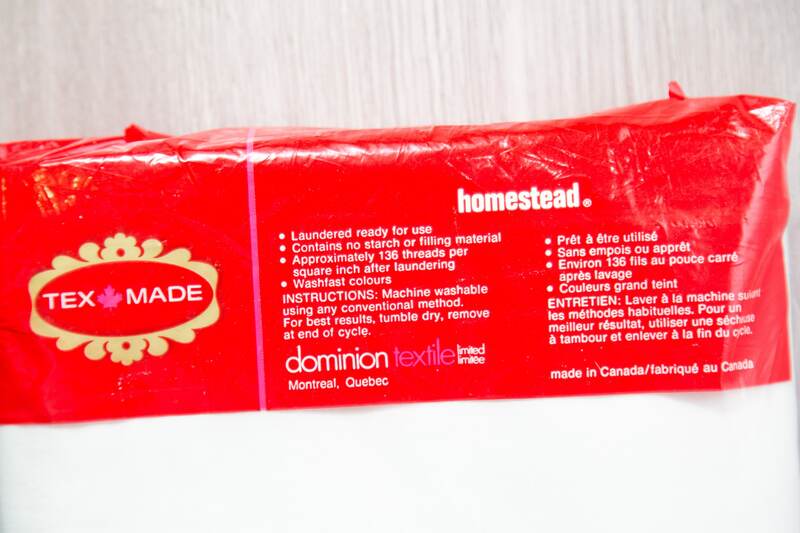 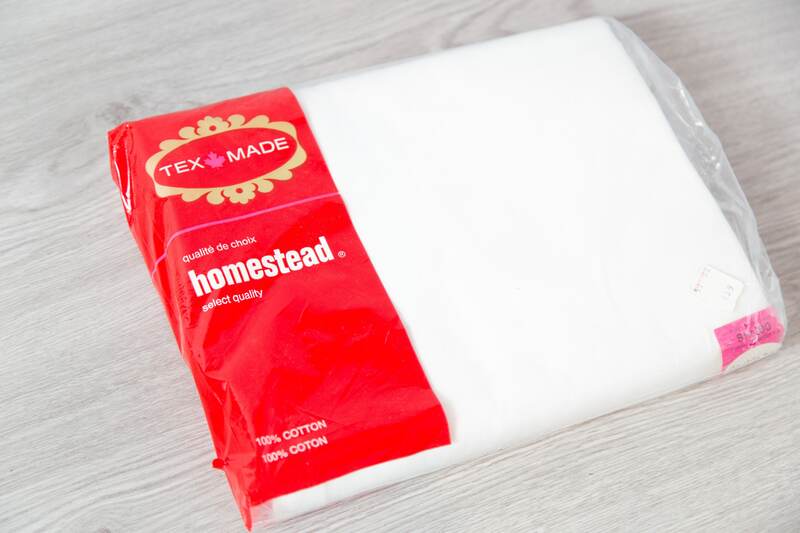 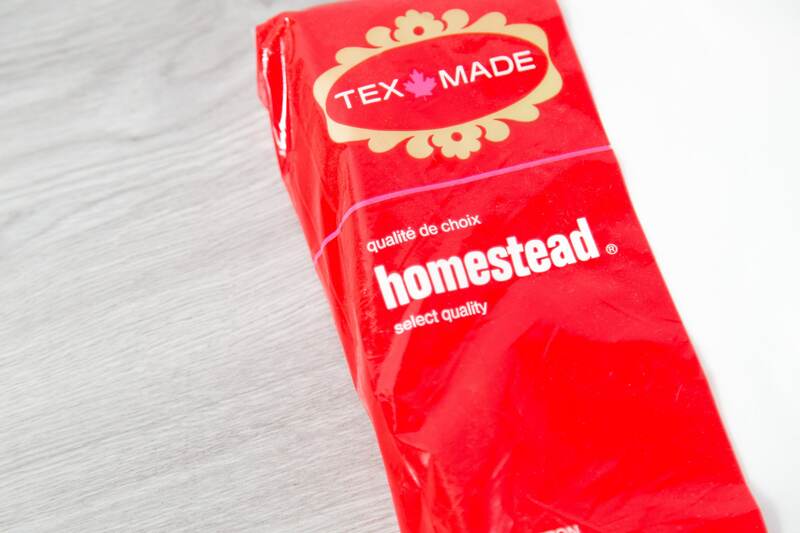 Made by Homestead Tex-Made Dominion Textile.